For hundreds of years, the history of the conquest of Mexico and the defeat of the Aztecs has been told in the words of the Spanish victors. Miguel Leon-Portilla has long been at the forefront of expanding that history to include the voices of indigenous peoples. 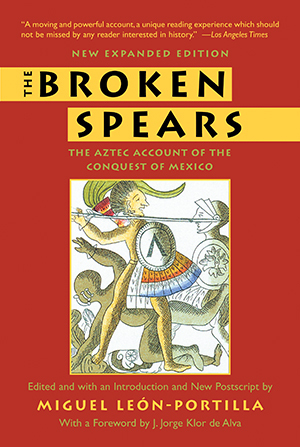 In this new and updated edition of his classic The Broken Spears, Leon-Portilla has included accounts from native Aztec descendants across the centuries. These texts bear witness to the extraordinary vitality of an oral tradition that preserves the viewpoints of the vanquished instead of the victors. Leon-Portilla’s new Postscript reflects upon the critical importance of these unexpected historical accounts.